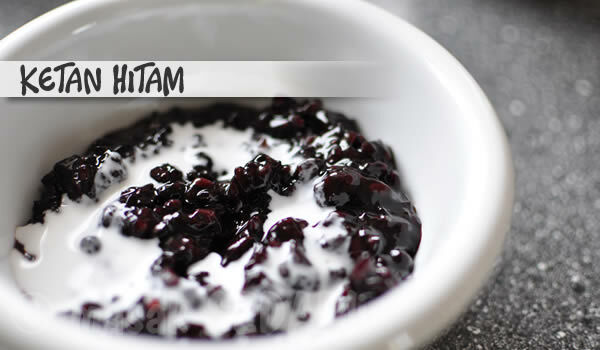 Bubur Ketan Hitam – Masak sedap! Puuh, 20 years since I last had this? And I wondered why I did waited so long. The Ketan hitam, Bubur Pulut Hitam or black sticky (glutinous) rice porridge is a favourite sweet in Southeast asia. Variations comes depending on the country that makes this dessert, be it from Thailand, Malaysia or Vietnam. Adding banana or longans is possible, but I prefer is the pure malaysian way. The black rice when cooked will turn purplish. It is sticky, starchy and absolutely high in fibre and has a distinct nutty taste. 5. Serve with a good helping of coconut milk/cream over the dish.